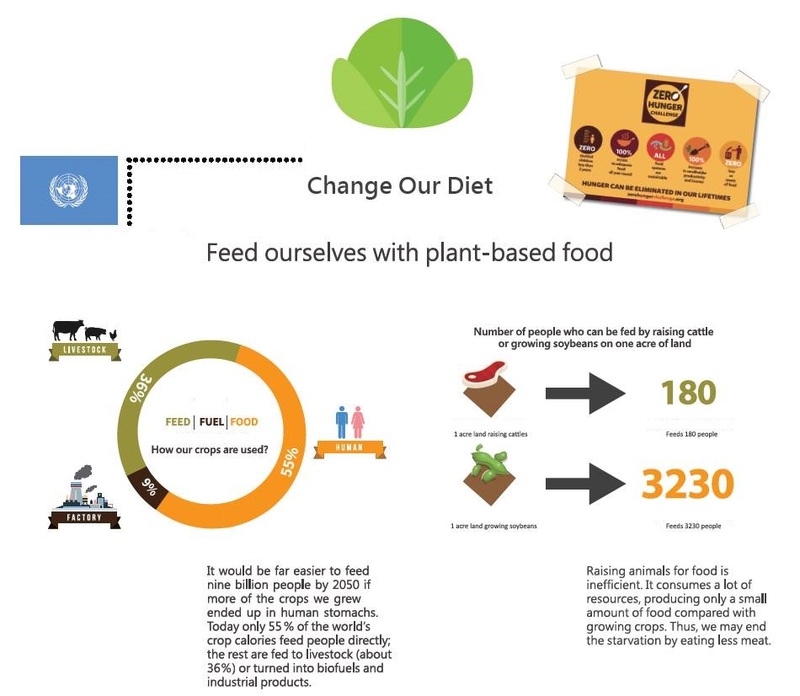 In our last article (here) we talked about Green Monday's trip to this year's World Expo in Milan "Feeding the Planet, Energy for Life" and saw how different nations presented the problems of food sustainability and food security to the public. In this article, we are going to focus on the solutions. Out of the 140+ nations and miscellaneous organisations participating in Expo Milano, we have picked a number of top pavilions who we think provided the most spot-on answers. One pavilion that is a favourite among our team and the media is the German Pavilion. Named “Fields of Ideas”, it has received lots of critical claim for the breadth and depth of its discourse that covers biodiversity, climate, soil, and water. It also has more interactive features such as the "Food" zone, "My Garden of Ideas" zone, as well as the "Be(e) Active Show" that prompts the visitors to reflect on the part they play in the food system. 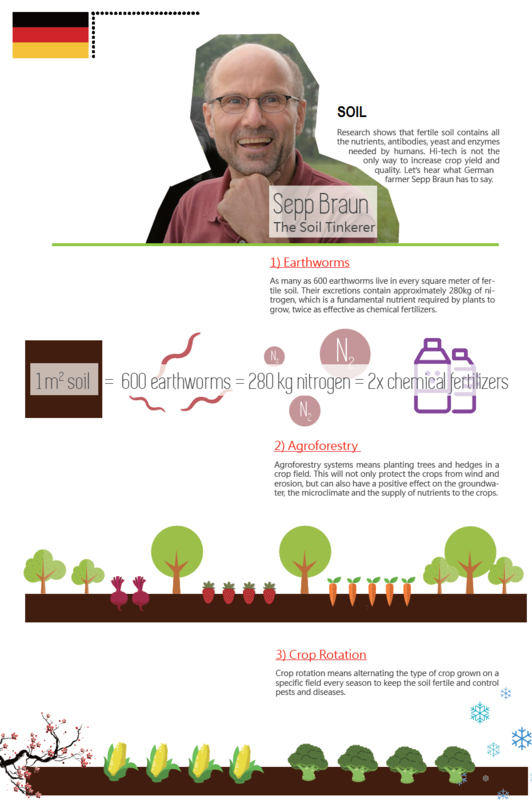 We found the most interesting part to be the "Soil" zone. The USA Pavilion has an eye-catching name: "American Food 2.0". 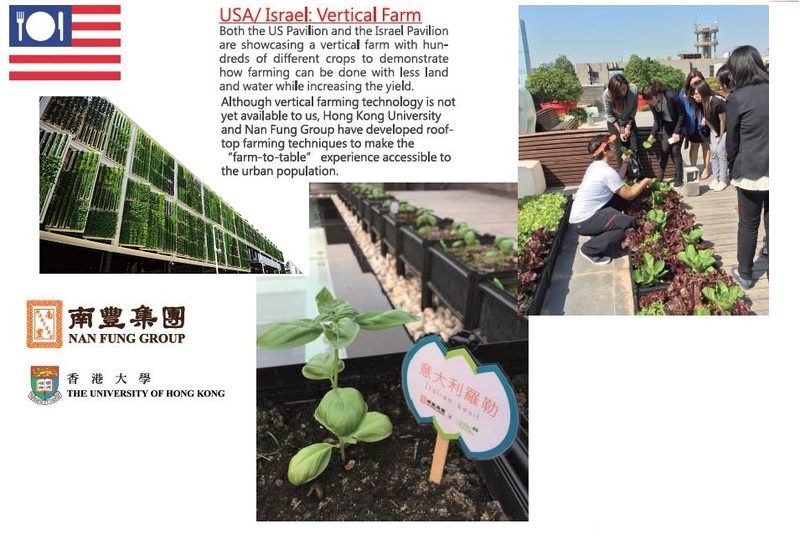 We thought the name was a bit of a misnomer though, because their most important exhibit wasn't the Food 2.0 technology from Silicon Valley, but a 9,250-square-foot vertical farm where 42 different varieties of vegetables, grains, and herbs are grown. It is worth mentioning that most countries tend to use a top-down approach when addressing big problems like feeding the planet. A lot of attention is given to food production technologies and know-how, rather than giving individuals the tools to contribute to our shared future. We cannot stress enough that most visitors are consumers of food rather than producers or policymakers. Since the legacy of an event like the World Expo depends largely on what visitors take away with them, we would have liked to see more bottom-up thinking and more emphasis on what everyone can do in their daily lives to make a difference. 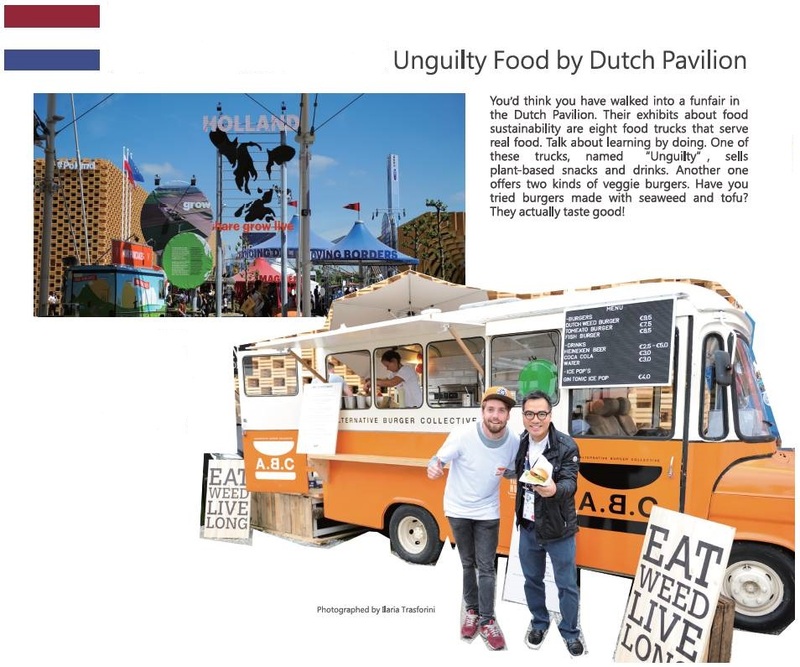 This is why we love the Dutch Pavilion so much: it is fun, it reaches out to the individual, and it demonstrates clearly what consumers can do to help our planet. Will you be going to the Expo Milano? If you have already been, what is your take on the different pavilions? Let us hear your thoughts and leave us your comments! The Expo Milano 2015 is open from May 1 to October 31, 2015. Click here for tickets.